Finding quality dentistry for people with developmental disabilities is as easy as calling Dr. Kurtzman's dental office. People with developmental disabilities suffer from a variety of dental problems just like everyone else. From cavities and gum disease to dental abscesses to pain - everyone requires good dental care and special attention. We are proud to provide dental care to people with special needs. We realize that finding a good dentist who is highly experienced in effectively serving clients with special needs can be a challenge. Dr. Kurtzman has over twenty (20) years experience working with the special needs and developmentally disabled communities. Due to a person with developmental disabilities' inability to be treated in a traditional dental setting, people with special needs are best treated in the safety and security of the Hospital Operating Room. While the patient is fully asleep the dentist and a specially trained assistant will repair and restore the patient’s mouth whether they suffer from gum disease or other dental problems. Call Dr. Kurtzman today for caring dentistry for patients with special needs. When it comes to dentistry, our team's number one goal is to make you feel as comfortable as possible. 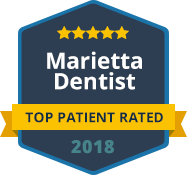 If you or a loved one is suffering from a dental problem, don’t hesitate; contact our Marietta dental office today via email to schedule an appointment. If you’re calling to schedule an appointment for a patient with special needs, please call us at: (770) 980-6336. When you want pain free dentistry, Dr. Kurtzman is the right choice!